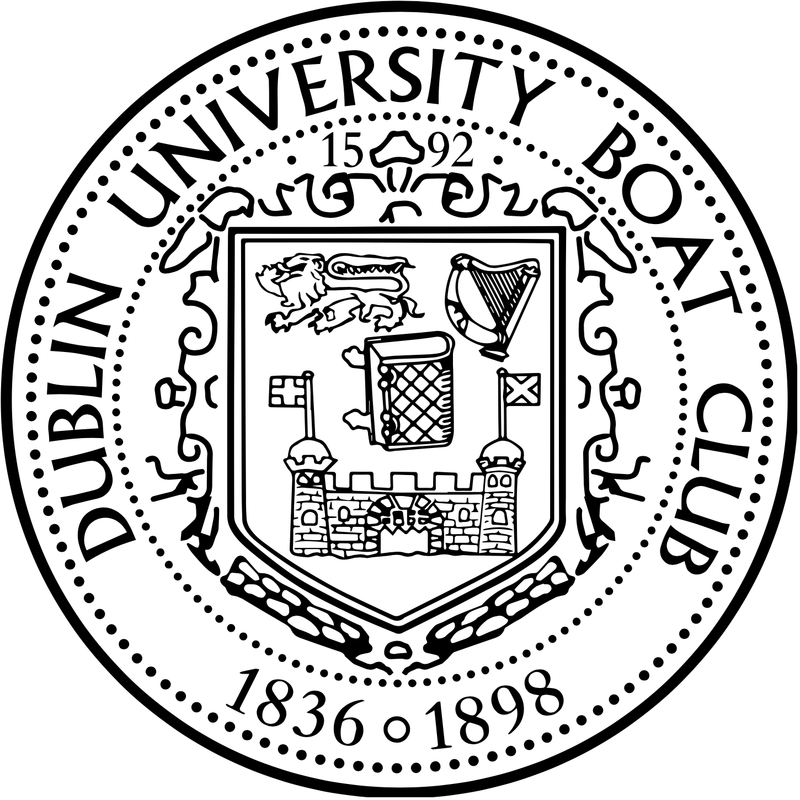 The Colours of the Club shall be Black and White, carrying the armorial bearings of Trinity College, Dublin, on a Royal Blue Shield. Azure, a bible closed, clasps to the dexter, between in chief, on the dexter, a lion passant, on the sinister, a harp, all or, and in base a castle with two towers domed, each surmounted by a banner flotant from the sides, argent, the dexter flag charged with a cross, the sinister with a saltire, gules. 1. SENIOR COLOURS are entitled to wear the senior blazer, white flannel trousers, waistcoat, dress waistcoat, tie, senior zephyr with badge, magpie, and cap. AT THE DISCRETION OF THE CAPTAIN, members of the senior eight who have not been awarded colours, may wear the senior blazer and waistcoat from Trinity Regatta and the magpie from the Gannon Cup or Trinity Regatta, whichever is the earliest. Also those who have raced twice for the club as seniors may keep the senior zephyr. The senior zephyr may only be worn while racing for the club. 2. JUNIOR COLOURS are entitled to wear the junior blazer, waistcoat, cap, dress waistcoat and club zephyr with badge. AT THE DISCRETION OF THE CAPTAIN, members of the junior crew who have not been awarded colours, may wear the junior blazer and waistcoat from Trinity Regatta. 3. MAIDEN COLOURS are entitled to wear the maiden blazer, waistcoat, flannel scarf, socks, cap and zephyr. 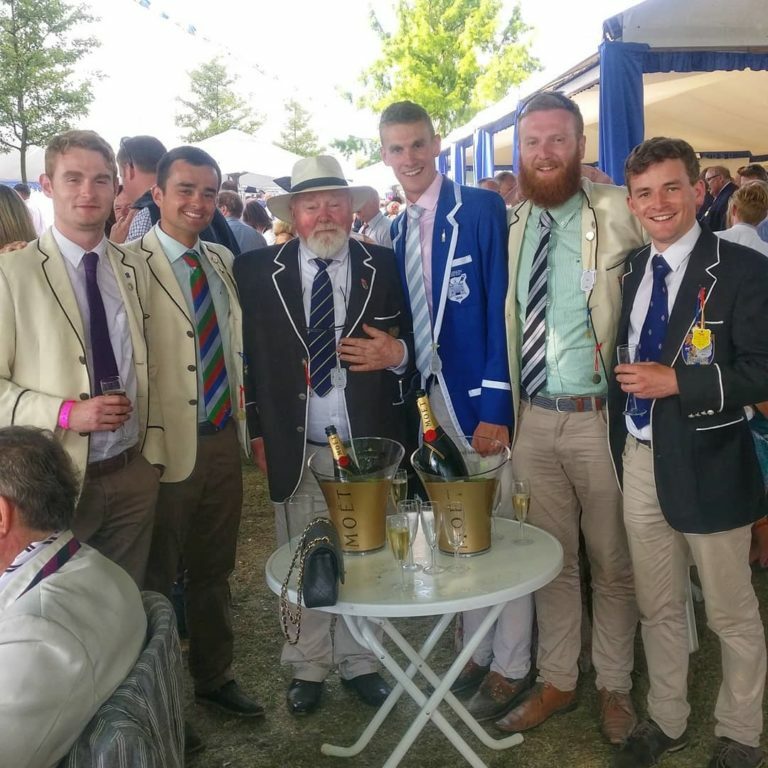 AT THE DISCRETION OF THE CAPTAIN, members of the maiden crew who have not been awarded colours may wear the maiden blazer from Trinity Regatta. 4. THE FLANNEL SCARF may only be worn by those who have been awarded colours. 5. AT PUBLIC REGATTAS, all senior colours must wear the badge on their senior zephyr, and all junior colours must wear the badge on the junior zephyr. NO OTHER MEMBER IS PERMITTED TO WEAR THE BADGE. 6. Every member who races in a boat which is the property of the club or in a crew representing the club, must be respectably dressed in plain white shorts, stripy socks and the appropriate colours zephyr to which he is entitled. This ruling shall apply equally to coxswains. There shall be no compulsion for any member to wear the blazer or cap at any time. Members may only wear the colours which they have been awarded. The ordering, purchase or redesign of all club colours including the splash/drill top or its equivalent may only be sanctioned by the captain. At all times, those in a boat which is the property of the club, or in a crew representing the club must be modestly dressed. 06/03/1996, word “singlet” changed to zephyr. Proposed by G Fennessey. Passed.